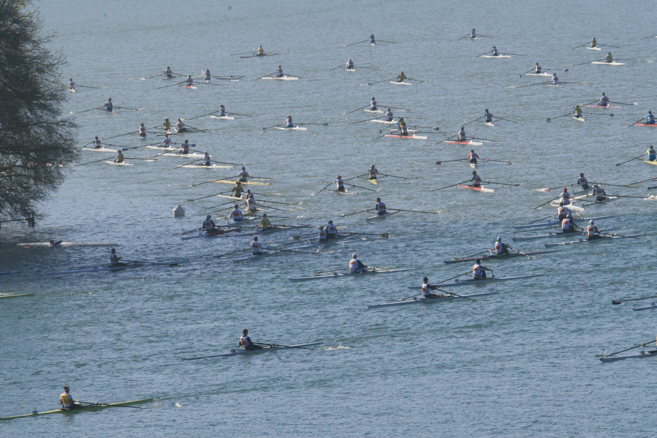 There are thousands of regattas in the world with as many rowers. But there was only one Armada Cup. It was where the “big ones” rowed alongside fitness and recreational rowers. On 27.10.2018 this event took place for the very last time after 32 years in existence. 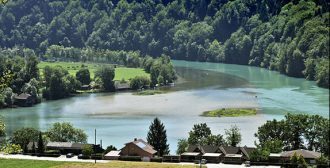 All registered competitors started at the same time and plunged into the calm waters of Wohlensee near Bern in Switzerland. A mass start is difficult. As a participant, you ask yourself where the best position is. Of course I let the world-class rowers go first. But I didn’t want to jeopardise my own starting position. Mass starts also have a higher risk of capsizing. But then you got going past sandbars, swans, herons, to the finish line nine kilometres away. About 500 singles (skiffs) registered in 2018. There were top athletes and amateur rowers from all over the world. They all opted for the ambience with curves, sandbanks, seaweed and international opponents. 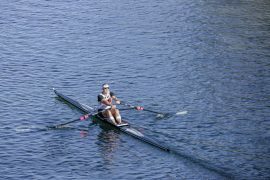 Many top athletes including Mahé Drysdahle, the Sinković brothers and Emma Twigg have rowed and won at the Armada Cup. Wohlensee is not an easy lake for rowing. There are two local rowing clubs and once you have rowed on this lake, you know its pitfalls.. Sandbanks are a regular occurrence. Even if you do not suspect sand, it always appears when you least expect it. Swans also reside on the Wohlensee, and are not always very welcoming of rowers in a hurry to reach a finish line. Thomas von Burg, President of the Organizing Committee, said, “… it will be a great occasion again in 2018 and we will celebrate it duly. To give our thanks to athletes, organisers and sponsors we will celebrate with a party after the race “.